Bonita Bay is a cosy resort that offers many amenities. Located alongside the Mediterranean sea, the resort has access to a private pebbled beach. You can lay back on the recliners and let the tranquility of the sea wash over you. The resort has a large swimming pool that is well-maintained and clean. It is perfect to take a cool dip on a scorching hot day. The resort serves a variety of delicious cuisines. The staff at the hotel is very efficient and friendly. An ideal place to unwind yourself, visit Bonita bay on a relaxing weekend. 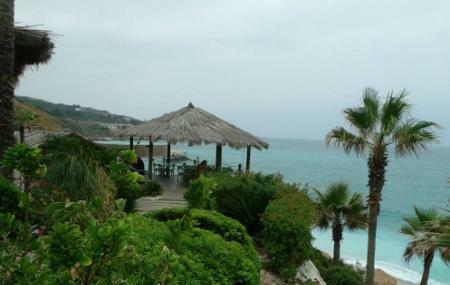 Explore Bonita Bay and other prime spots of the city using Batroun trip planner. Add accommodation and hotels in Batroun that suit your budget including the most recommended ones like Byblos Hilltop Hotel, Sawary Beach Hotel, Castel Mare Beach Hotel & Resort and Victory Byblos Hotel & Spa. Generate executable plans on your own or book the top rated Batroun vacation packages for your visit. Read more on how to reach Batroun. Love this? Explore the entire list of places to visit in Batroun before you plan your trip. Fancy a good night's sleep after a tiring day? Check out where to stay in Batroun and book an accommodation of your choice. How popular is Bonita Bay? People normally club together Ocean Blue Beach and Gibran Museum while planning their visit to Bonita Bay. Nice place with a great sunset view over the Mediterranean sea. Another nice Batroun beach. If you prefer a pool to the sea, this may be your best bet in the area. Small pool and rocky beach, but the place is nice.